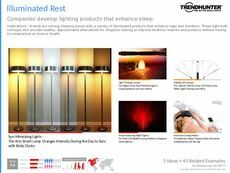 Find Better Ideas, Faster ® with a custom light technology trend report, our PRO Dashboard and 80+ categories of premium trend reports. 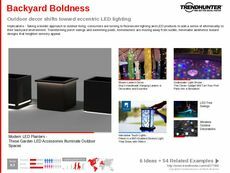 Scanning stylish and functional luminous designs, the Light Technology Trend Report explores a variety of lighting decor and illuminated technology examples. 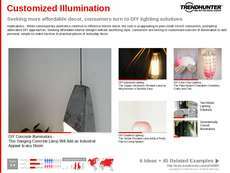 The rise of LED lighting is explored as well as a general shift to sustainable light bulbs that use less energy. 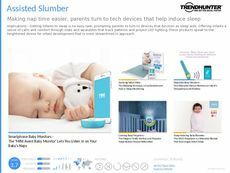 Tech devices are highlighted, like alarm clocks that use light to naturally wake consumers from their slumber. 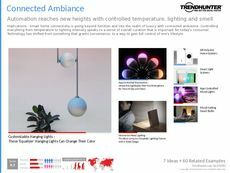 Additionally, smart homes go even further with app-connected lighting for controlled ambiance. 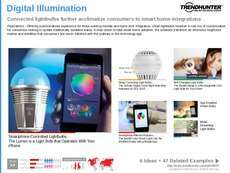 Technology and electronics developers will gain insights from this report, increasing their knowledge of the effects lighting can have in the realms of entertainment, mood therapy and sustainability. 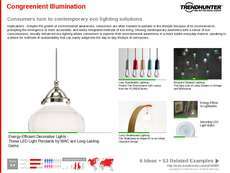 Interior designers and decor retailers will also appreciate the design insights outlined in the report when exploring lighting for home, office, retail and restaurant spaces. 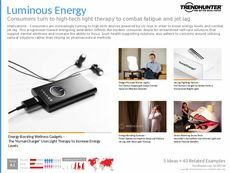 The Light Technology Trend Report finds the top lamp, LED and light bulb designs while simultaneously outlining the movement towards using light as therapy and in sustainable design.